Home » Is This The End Of Kelly Slater’s Competitive Career? Is This The End Of Kelly Slater’s Competitive Career? Earlier this week the surf world wept as Kelly announced that he had shattered his foot in two places after jumping off inside a Boneyards’ barrel during a pre-comp free surf. Immediately after the incident, he suggested he’d at least be missing the rest of J-Bay and the next event in Tahiti, however since then a much more bleak prognosis has emerged. Yesterday in an interview with the WSL, Kelly revealed that his doctor back home had inspected his x-ray and concluded he would in fact be out of the water for between 4-6 months. He added that he’d been chatting with good friend Ross Williams, who had sustained a similar injury a few years ago, with his keeping him out of the water for nine. 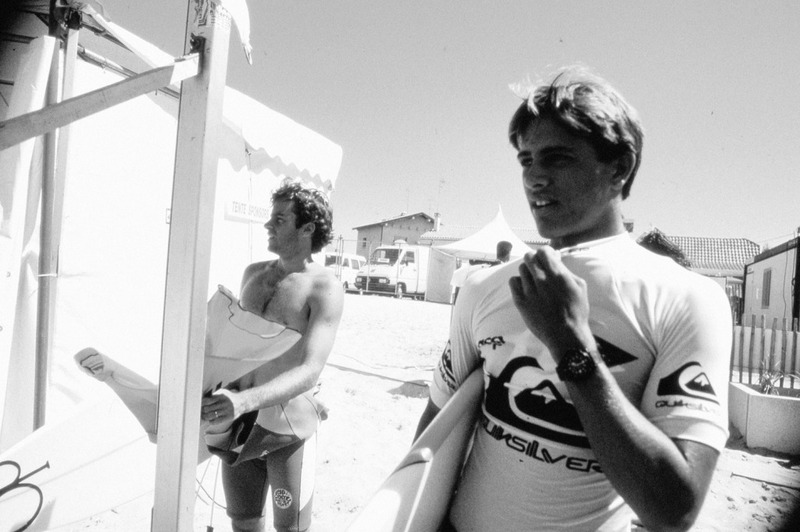 Basically, whatever happens it seems unlikely that Kelly will surf another CT event this year, which begs the question, will he ever return to full time competition? Kelly has made no secret of the fact that he has been dogged by injuries over the last few years, telling us in an interview in 2015 that he felt a series of niggling problems in his foot, knee, hip, rib lower back and shoulders, had been holding him back. He went on to say that as the overall standard on tour had improved so much that he felt he really needed to be on top of his game to be winning heats. In a separate interview, conducted at J-Bay this time last year, he spoke much more succinctly on the subject, stating simply: “When they all start beating me, I’m outta here’. Whilst Kelly has now been technically injured for two of the six events, in the other comp his form, compared to that enjoyed over the last 25 years, has been really poor; he’s crashed out in round three in all but one event. Accordingly, if he still feels the way he did this time last year, we suspect he’ll be reluctant to return to competition, even once he is back to full fitness. Conversely, the memory of his losses may add fuel to the fire that has kept Kelly coming back for more for so long. So far the 2018 injury wildcards are not nearly as hotly contested as in previous years, with Italo being the only surfer on tour this year to have missed multiple events due to injury. We would guess the WSL will offer the spot to Kelly, but after six or more months out of the water, undoubtedly getting stuck in to all his other projects, there’s a serious question mark as to whether he will he be keen to pull the jersey back on and return to full time competition. That said, if Kelly’s illustrious career has taught us anything, there really is no use in trying to second guess the GOAT. So, just as we have for the last two decades, we’ll all just have to wait and see.